The H Series Panorama and Peninsula by Montigo are three-sided direct-vent gas fireplaces available with panorama and peninsula-style glass viewing areas. 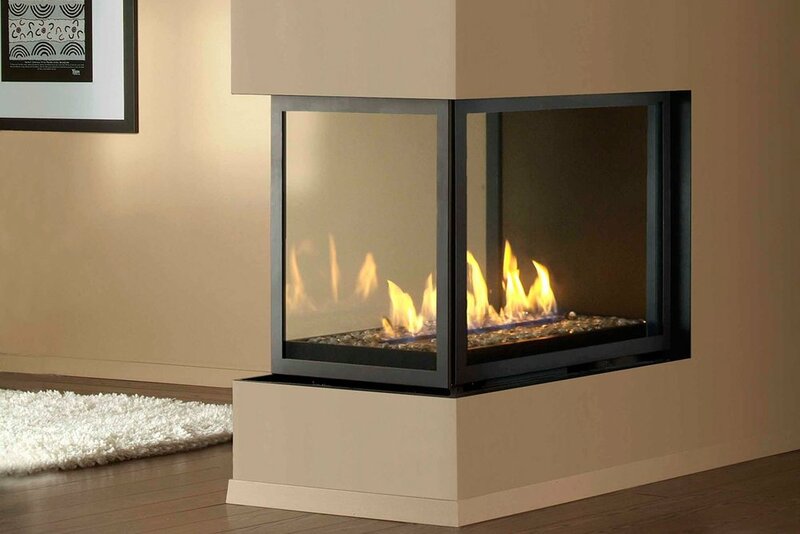 The H Series Panorama and Peninsula feature a classic, square firebox shape with framed glass returns on the left and right sides of the fireplace. A clean face metal trim that surrounds the glass viewing area. Non-combustible finishing materials can be installed right to the edge of the metal trim, resulting in a versatile finished look that is easily-integrated into any space. You can choose from linear or log grate burner styles, with interior media options of ceramic logs, river rock and fireglass.